Spinning is one of the most popular gym workouts in the world. Ever since its invention three decades ago, its fame grew tremendously. More and more people nowadays are joining classes dedicated to it, as the activity is both fun and beneficial for weight loss. And it doesn’t have to be time-consuming either if you don’t want it to be. Fortunately, as few as 10 minutes per day are more than enough for this. Still, pedaling every day won’t be enough. As ExerciseBikesExpert.com explains, it is important to maintain a healthy diet alongside this routine in order for visible results to be achieved. Here is everything you need to know about burning fat and shaping muscles quick and easy. 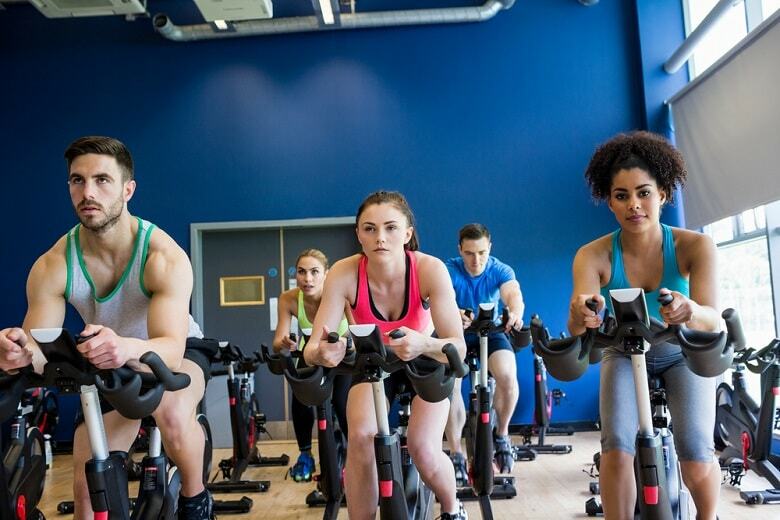 The usual spinning session at the gym can last anywhere between 45 minutes and one full hour. During this time, instructors guide attendees through a varied set of moves that imply different speeds and resistance levels. Bouts of intense sprinting are followed by recovery periods that unfold at a steady and moderate pace. 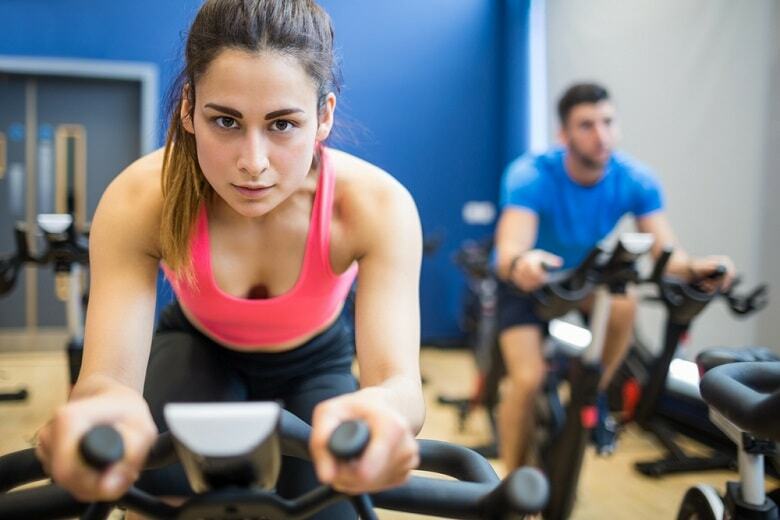 This is known as high-intensity interval training, and it is crucial for obtaining visible and durable results while cycling indoors. It consists of bursts of cardio followed by equal or longer resting sequences. Customarily, a 30-second sprint is followed by one minute of stable pedaling, then it’s time to sprint again. According to TIME Magazine, 10 years’ worth of data comprised on the subject have shown that just a few minutes of HIIT per day, three times a week, deliver the same results as long-term aerobic sessions. Therefore, working out on the bike doesn’t have to be time-consuming. In fact, some personal trainers argue that as few as 10 minutes daily work wonders. In order to achieve peak performance and reach your fitness goals in the shortest amount of time possible, you will need to adopt a training cycle that makes heavy use of HIIT. The routine is known as the 6-10-30 workout, and it has been put together by a team of researches from Abertay University in Scotland. Its efficiency has been analyzed on a group of 32 professional runners. The group which adopted this routine alongside their normal training showed an impressive increase in performance levels. This goes to show that 10 minutes per day can indeed make all the difference in the world when it comes to reaching fitness goals. The entire routine is based around the motto “bike away fat in 10 minutes”. To start towards this ambitious achievement, you will need to warm up for three minutes. Then, the rest of the routine is perfectly summarized in its very name. The number 6 stands for how many intervals you need to perform, 10 represents sprint duration, and 30 means recovery. Thus, you will want to start the first interval by doing a 10-second sprint with a 15 to 17 resistance level. Then, rest for 30 seconds at a moderate pace. Repeat this six times, then cool down for three more minutes while pedaling at 70 rotations per minute. This lasts for 10 minutes on the clock, and if you have more time to spare you can increase sprint duration. In the test group comprised of athletes, it has been noticed that those who partook in the 6-10-30 workout managed to shave off as much as 25 seconds off their usual running time. The entire study lasted for two weeks, and at the end their performance and endurance levels improved tremendously when compared to the beginning. Of course, for regular people looking to shed some extra pounds and tone the body, this might sound irrelevant. However, if this simple and quick workout could do so much in terms of professional sporting performance, just imagine what it will do for you. By dedicating just 10 minutes out of your day to it, you will manage to get in shape in no time at all. Whenever weight loss and body toning is sought, adopting a clean diet that consists of the freshest organic ingredients will always be the norm. By pairing this with your usual workout, incredible results can be achieved in a relatively small amount of time. But when it comes to spinning, there’s nothing more important than what you eat before you pedal. It is recommended to consume your pre-workout meal an hour and a half before class to ensure that your body stays energized and has fuel to work off of. The best snack in this scenario is a cup of whole-milk Greek yogurt. It contains the perfect balance of lean protein and slow-digesting carbs to ensure that you remain on top of your game. If you want to mix it up a little, you can throw some fresh berries in there as well or sprinkle a few assorted nuts. And speaking of nuts, whole-wheat crackers with an almond butter spread represent another ideal pre-spin class snack. While the crackers contain the carbs, the almond butter is rich in lean protein, which is the quintessential combination as we mentioned above. If your exercise session takes place in the morning before going to work, then you might need something a bit more substantial. When you have to wake up early, it might feel tempting to jump out of your pajamas and straight into the gym. However, you need to refrain from doing so, and take the time to eat a healthy and nourishing breakfast. 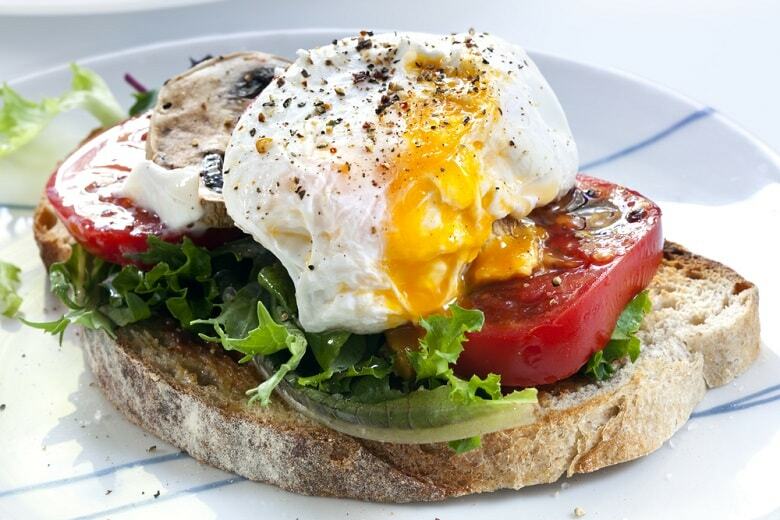 A light egg scramble on whole-wheat toast is your best friend in this situation. It’s not only delicious, but it’s also easy to make. What is more, eggs are a staple in the diet of any athlete, as they are one of the best protein sources out there. And as you already know, whole-wheat delivers the carbs, so you’ll have all your bases covered. When pursued right, spinning is a highly intensive workout that delivers visible results as far as fitness goals are concerned. As few as 10 minutes each day can make all the difference in the world when your endgame consists of losing weight and shaping lean muscle. Nevertheless, you will need the proper approach, just as you would with any other routine. In this scenario, high-intensity interval training is your best bet. It is the surest way to achieve results that are comparable to a long-term exercise session in less than half the time. Pair it all up with an appropriate diet and focus on what you eat before hitting the gym. If you do it right, you will build the body of your dreams in the shortest time possible.